So, your friend’s son is turning 13, and you’ve just been invited to your first Bar Mitzvah! Yay…but also oy vey! What should you wear? Are you expected to bring a gift? Will it be awkward? 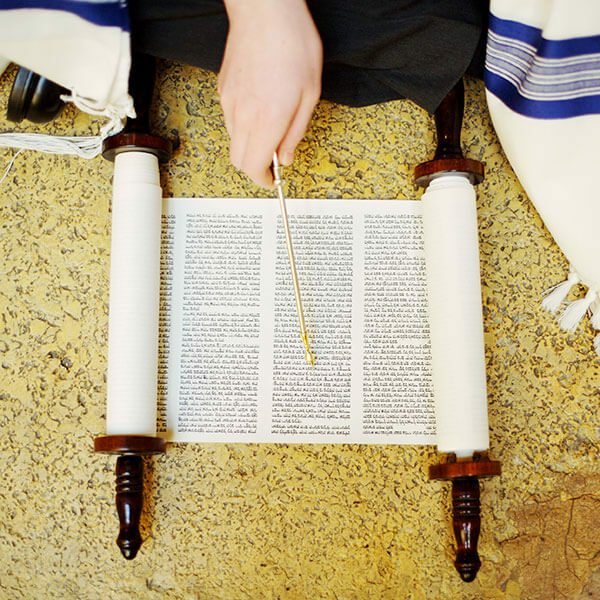 What the heck is a Bar Mitzvah anyway? No need to panic. You don’t have to be Jewish to enjoy the happy occasion and blend right in. The words Bar and Bat Mitzvah literally mean “son or daughter of the commandment.” A Bar Mitzvah happens for boys at age 13. A Bat Mitzvah happens for girls at age 12. To clear up any confusion, you should know that the child isn’t becoming an actual adult who also happens to go to middle school. He or she is simply being welcomed as a fully responsible member of the Jewish community. From the kid’s point of view, it’s about getting dressed up, reading publicly from the Torah, and leading a congregation in prayer. Nerve-racking business for a new teen! Bar Mitzvah guests are loved and valued by the family. You were invited because you matter, so rest easy. Dress as if going to an afternoon wedding or formal event. Men wear suits or jackets; women wear dresses or dressy suits. It’s respectful to follow along with Jewish customs, even if they aren’t your own. For a man, this probably means wearing a yarmulke, or small skullcap, while in the synagogue. You don’t have to go out and buy one, though. The family will provide brand-new yarmulkes. In highly orthodox gatherings, men and women may be asked to sit in separate sections and then reunited after the service. Just go with it. The celebration that follows is a big deal for the family, but it’s also a seriously awesome birthday party for a 12- or 13-year old. So get those party shoes on! Every party is unique. The reception may be held in the temple, but often, guests will switch to another venue. Food, DJs, music and entertainment are all common. Usually, kids run around together while adults talk (often over loud music). That said, today’s families plan affairs of all kinds. Some have smaller gatherings at home or in a restaurant. Some skip parties altogether and take private trips—in which case, guests may simply be invited to the Bar or Bat Mitzvah service, followed by a reception with light refreshments (called a Kiddush.) Just as weddings vary widely, so do Bar and Bat Mitzvah celebrations. Take your cues from the printed invitation itself, which should explain what events are planned. A Bar or Bat Mitzvah is designed to honor a coming-of-age. Gifts are commonly given (usually after the ceremony and during the reception). A present does not have to have religious meaning, but of course it’s always tough to buy for a teen. Gelt (money) is a safe, appropriate and completely traditional gift. Many families donate a portion of monetary gifts to a charity to honor the occasion (and the rest is often added to a college fund). But, how much should you give? Luckily, the number 18 is significant: In Hebrew, it is the numerical value for “chai” (pronounced like a guttural “hi”), meaning “life.” Giving money in multiples of $18 ($18, $36, $54 and so on) is symbolic of giving life, so giving denominations of chai puts you “in the know.” The amount you give is based on your comfort level and closeness to the family. Pile on the Mazel Tovs! Oh, sure, you could simply say “congratulations” to the Bar or Bat Mitzvah kid and his or her family—but why not put a Jewish spin on it? Mazel Tov (pronounced MAH-zel-toff) is the warm, traditional way to say congrats. With those words, you’ll be a perfect mensch! Penny Krugman Howard is a freelance writer. She’s been to enough bar and bat mitzvahs to choke a gefilte fish. Still, a beautiful milestone at a tender age is magical every time.